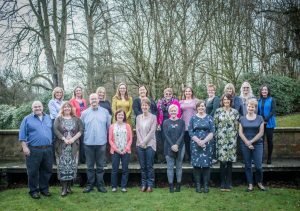 A group of 21 community nurses working across Scotland have been awarded the prestigious title of Queen’s Nurse. Among those to receive the honour is an offshore medic, a Diana Children’s Nurse and a multiple sclerosis and motor neurone disease specialist. Nurses providing care to people in the community who need support with a wide range of issues such as substance misuse, dementia care, dermatology, attention deficit hyperactivity disorder (ADHD) and infant feeding also feature. Those working in general practice, community mental health, district nursing, child health, school nursing, care home nursing and health visiting complete the group. They were selected earlier this year to take part in a nine-month development programme run by the Queen’s Nursing Institute Scotland (QNIS) for their clinical expertise and compassionate care. Queen’s Nursing in Scotland dates back to 1889, when nurses completed specific training which allowed them to work as district nurses. They provided care and health education to people in their own homes and became well respected figures within their community. Following the introduction of a national certificate for district nursing, QNIS ceased training, awarding the Queen’s Nurse title for the final time in 1969. However, the decision was made to reintroduce Queen’s Nurses to Scotland in 2017, with 20 community nurses chosen to take part in a development programme which would see them become the first modern Queen’s Nurses. The process involves employers nominating a community-based nurse who will go forward for interview following a successful written application. This year, 21 community nurses were selected to complete the nine-month programme which consists of a week-long residential workshop followed by two further workshops and coaching sessions in between. The programme requires them to choose an issue for development which will have a significant impact on those they care for, so that the learning during the nine months is applied in practice. Clare Cable, QNIS Chief Executive and Nurse Director, said: “The development programme was designed to ensure that values of Queen’s Nurses of the past can be translated to meet the demands of leadership of nursing in the community in the future. 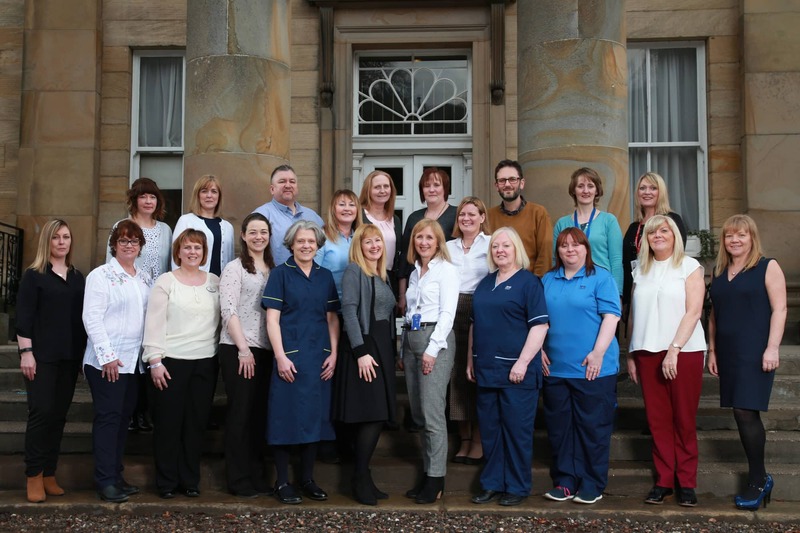 “The 2018 Queen’s Nurses demonstrate the diversity of roles within community nursing in Scotland. “They include specialist practitioners in remote communities, cutting the need for long journeys to be seen at a hospital; advanced nurse practitioners delivering care to people in their GP practice; nurses supporting people using their expertise in mental health; and others bringing care to some of society’s most vulnerable and marginalised groups. “They are all expert community nurses, seeking to make a real difference to the lives of the people they work with. Each nurse was presented with a certificate and badge by Scotland’s Chief Nursing Officer Professor Fiona McQueen during the awards ceremony at The Principal Edinburgh on George Street hotel. Prof McQueen said: “Scottish Nurses support the people of Scotland across all walks of life. “This year’s Queen’s Nurses exemplify all that is good about nursing and nurses; supporting people at their time of greatest need and reaching out to people who often struggle to access services.